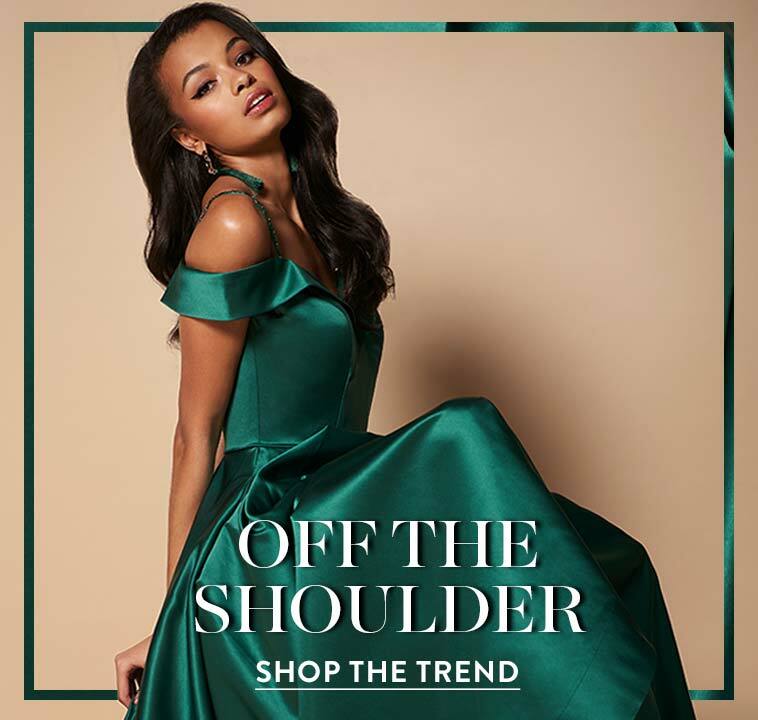 Unfortunately, the dress you are looking for (Style: BL-PG3165, Name: BL-PG3165) is no longer available. 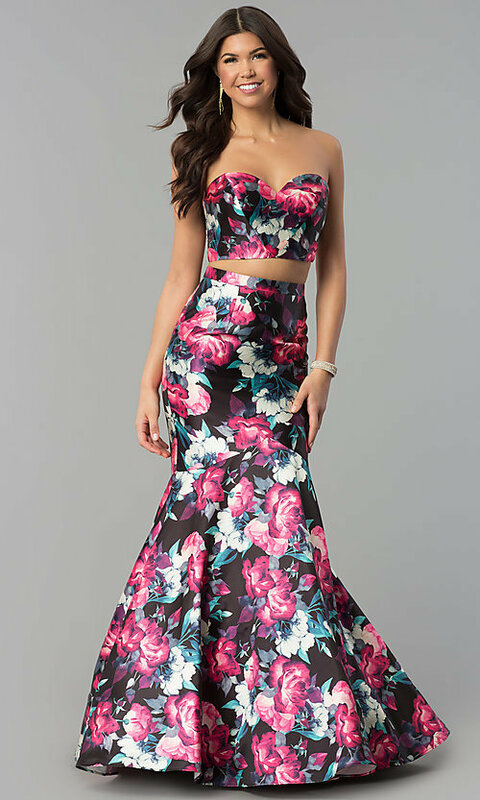 Surprise everyone in this two-piece floral-print mermaid prom dress, sold exclusively at PromGirl. 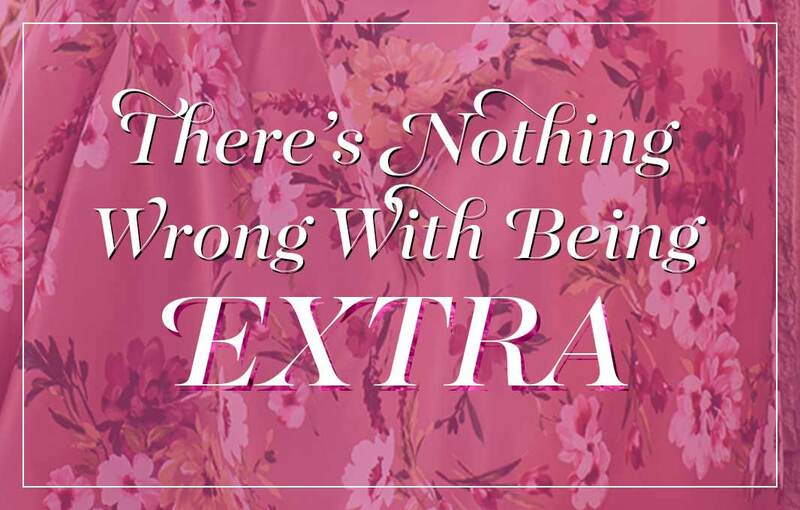 Colorful and fun, the crowd will never see this satin sweetheart dress coming. Flowers with bright shades of pink, green, and white splash the front of this eye-catching black gown, while a dramatic mermaid skirt sweeps across the floor. 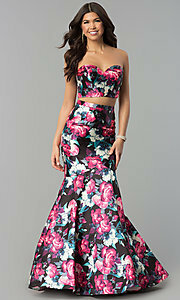 This two-piece prom dress has a strapless sweetheart crop top that draws attention to the face for an extra-girly look. 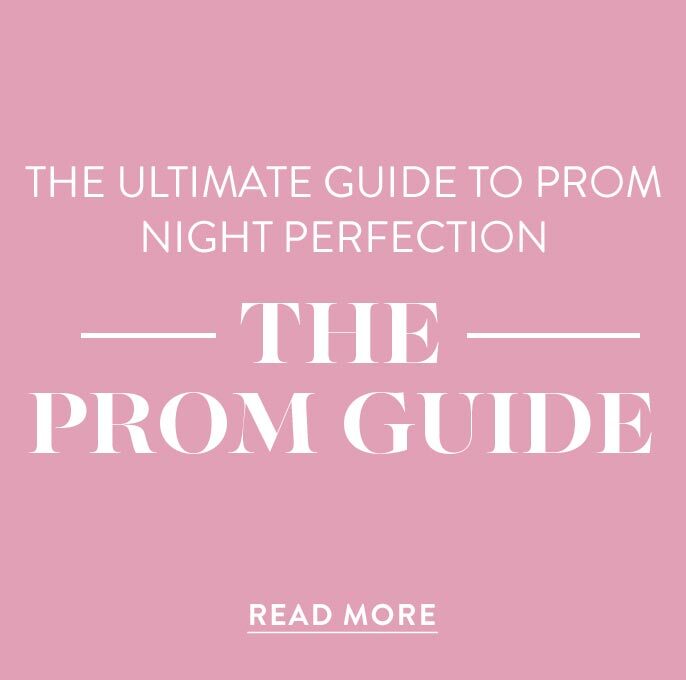 Worried about hitting the dance floor? Fear not, because this mermaid dress has removable straps. 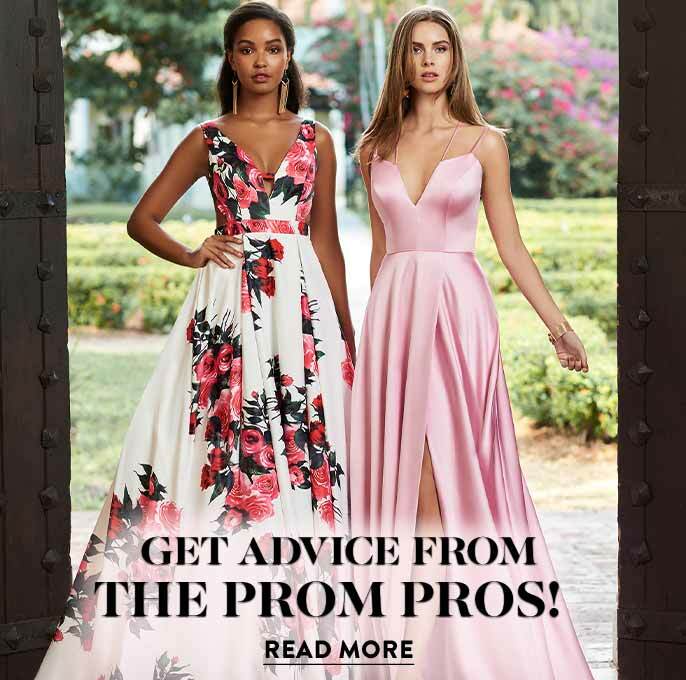 Just below the fitted bustier, the matching satin skirt hugs the curves and flares out at the knees, making the long two-piece prom dress absolutely sensational. Top 8", Bottom 50", Hollow to Hem 58"